A tent serves an important role when it comes to having a shelter while outdoors. A tent can easily be mounted in different places, so at the end of the trip, you can expect to have some dirt and grime accumulating on the tent. It is advised that you always take good care of your tent so that it remains in pristine condition. You might want to clean the tent each time after having a camping trip. When people hear about cleaning a tent, what comes into their mind is a complex procedure. Well, you will be surprised to know that it does not take a lot to get the job done. Let us get to look at some of the tips on how to clean a tent. The tent’s fabric is not the best to be machine-washed. 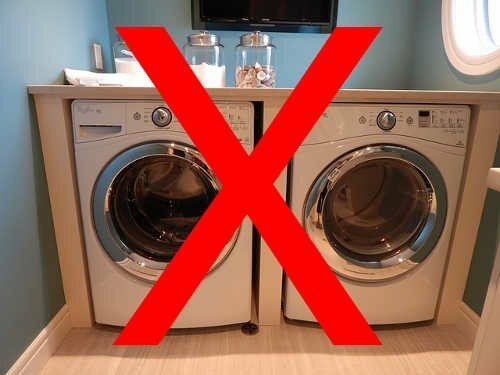 Having a washing machine with an agitator could lead to having the fabric material stretching or tearing. This is especially around the seams. The dryers have the same effect, as they can easily generate enough heat that could lead to destroying of the tent fabric. Having to do a simple cleaning should help with keeping the tent clean. 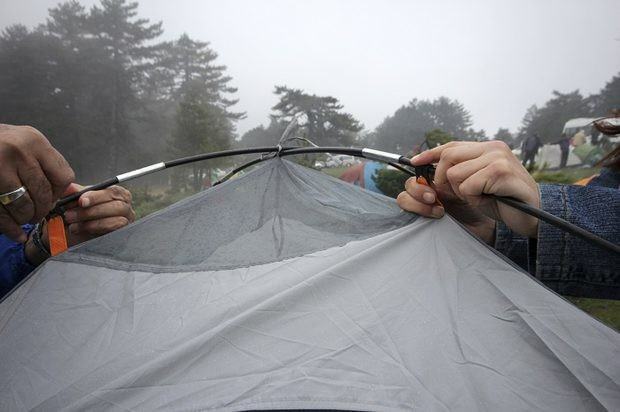 ​A tent is a simple product, so you do not need to use a lot of fancy equipment to get cleaned up. A non-abrasive sponge, non-detergent soap, and cold water, are all the things you need to make sure that you can handle the cleaning. Scrub the different soiled areas gently with the sponge. You have to be extra careful around the floor and fly areas. With the soap being used for cleaning, removing any soiling should not be a problem. It is recommended that you avoid dishwashing liquid, spot removers, laundry presoaking products and bleaching agents. You would find that most of the household soaps would come perfumed. That is not something good for camping outdoors. This means that the smell from your tent will attract more insects and rodents while camping. Well, it is not just about attracting the insects and rodents, but also the soaps might affect the tents water repellent coating. You need to be careful about the type of soap you choose for washing the tent. The microorganisms that cause mildew and mold would have other effects on the tents integrity, so it is time to also remove them. You are likely to face discoloration and musty smell as signs of having microorganisms growing on your tent. Cleaning them is easy by simply using an enzyme cleaner. You do not want to leave the tent in the tub submerged more than the cleaner manufacturer recommends. Leaving it for long could lead to issues such as hydrolysis. This is the process of where the water will start to breakdown the waterproof coating chemically. If you have already encountered pine sap on the tent, you know that it can be quite a messy issue when the tent ends up having pine sap on it. You could opt for spot cleaning as a way of removing the sap so that you remain with a clean tent. Using mineral oil, but make sure to rinse thoroughly, you could do the spot cleaning. You do not have to over-scrub the location just to remove the pine sap. Even with the tent all cleaned up, you cannot forget the zippers and poles as they are part of the tent. You have to brush off the dirt and grit on the poles and zippers before storing. Apply some lubricant on the zipper tracks as a way of help with opening and closing of the zipper. For the lubricant, you have to buy one designed for the outdoor gears. Do not use wax as it tends to attract dirt easily and also the scented wax will lead to having bugs and wildlife chasing you around.